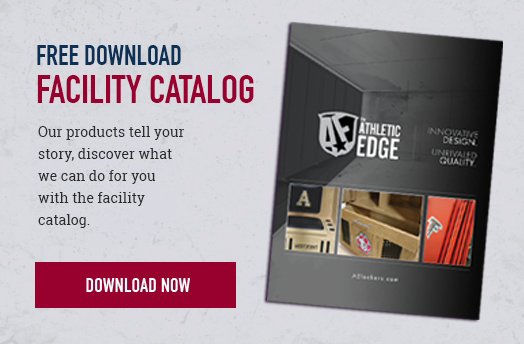 While athletic training work predominately happens in the athletic training room where most equipment is located, there are sports and situations that require athletic trainers to have their equipment with them away from the athletic training room. That is where the Athletic Edge steps in to help. This lightweight yet durable massage table is ideal for sport massage and comes with a face rest and pillow. It conveniently folds up to instantly become a portable 37 pound carrying case. It also comes standard with adjustable height, four field feet, 11-layer plywood base with finger-joint craftsmanship and an auto-hold hinge system. This portable table is sturdy and great for treating and taping athletes on the sideline. It folds up for easy portability and features a Shiatsu Cable-Lock™ system, durable powder coat frame, adjustable height, four field feet and optional custom branding. This durable workstation on wheels proves to be extremely versatile with it's many functions. It can be used as a writing space for athletic trainers, a treatment table for athletes on the sideline, a storage space for supplies and also has the option to keep one side folded down. The SmartCart™ is sure to meet all your mobile taping, evaluation and/or treatment needs. Athletic Edge’s durable, functional and convenient SmartCarts are offered in many sizes to meet your game day and practice needs. Features include various cabinet and shelf configurations, large pass through storage areas, 360˚ rotating heavy duty locking wheels, a pull handle and 1-1/4” receiver hitch for ease of mobility. This adjusting table is tough enough to withstand the requirements of the most demanding use. Take it with you for house calls, or stow it away in a small space and get it out when you need it. The Basic Pro Chiropractic Table features both thoracic and pelvic drops, five angle adjustable headpiece, adjustable ankle extension, adjustable height and folding legs. It also comes standard with a paper holder, hand rests and a carry case. Low-level laser technology safely penetrates 2 to 3 inches into the skin to effectively stimulate regeneration of damaged cells and tissues, which brings about more rapid healing and reduces pain. This portable unit features a rechargeable battery that lasts an average of 60 treatment minutes (treatment times range from 10 seconds to 2 minutes), a user-friendly LCD display with probe status, built-in safety and fault detection software and a built-in power test to assess probe output.